Between sessions of intense rain and wind, there were moments when the sun peeked through as if to reassure us it was still there. My camera accompanied me outside to capture some of the rain. Photos don't quite give you the feeling of being outside after a rainstorm though. 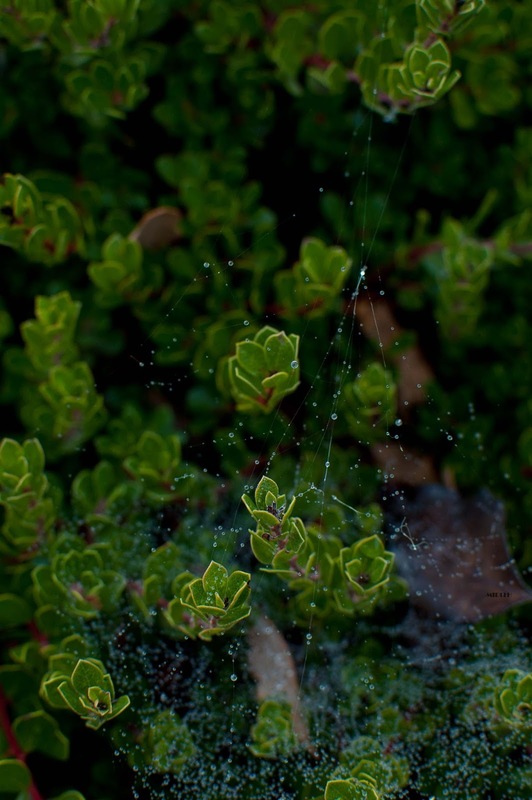 There's a smell (petrichor, oh that poor overused word! ), a feeling of the plants around you relishing their recent, refreshing shower, and a calm quietness that is hard to describe but easy to recognize. Maybe that's just me though. Walking around in the rain is even better, but my mom hates it when I come inside soaked. Because who needs umbrellas? 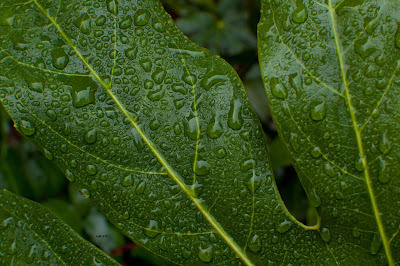 Typical shot of water on leaves. 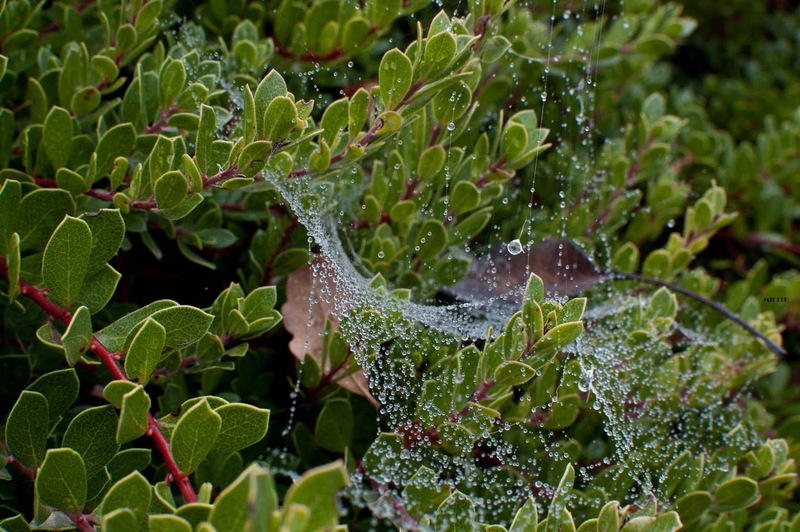 Spiderwebs look awesome when they catch the rain like this.